There are various places to eat at Bewdley in Worcestershire. Surrounded with many popular old and new restaurants, the main purpose of the eating establishments is to give the best taste to diner’s palate with delicious food and old wines. The most attractive part is the lucrative offers given by the restaurants providing a wide variety of cusines on offer. To enjoy food and drinks of your choice, these offers prove to be the best options available at varied rates. 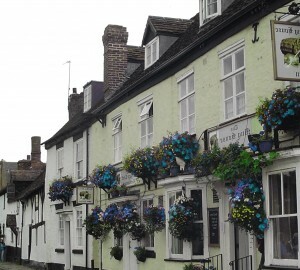 Such offers can be easily got in almost all the famous cafes and pubs located in Worcestershire. If your interest is in wines, you can choose the offer with the option of getting that wine with the food. You would be glad to know that Bewdley has also some restaurants awarded with AA Rosette. Apart from that, there are also a number of restaurants which have won Worcestershire Welcome award and Michelin award. Apart from offering world famous cusines, Worcestershire is also popular for local food and drinks which are enjoyed by the visitors as well as the local people. It certainly gives a completely exquisite atmosphere to the place with food items and drinks from all over the world. A few most famous restaurants of the place are Clementines Caffe, The Mulberry Restaurant, No 93, The Hop Pole Inn, Riverside Café and Greens Restaurant. Greens restaurant is mainly loved by all which is open for dinner parties seven days a week. You can do advance booking for the party even for special dining. It is a wonderful place for all meals which includes breakfast, lunch and dinner. You can also spend a night in the fabulous accommodation offered by the restaurant and enjoy its delicacies in an absolute superb atmosphere.